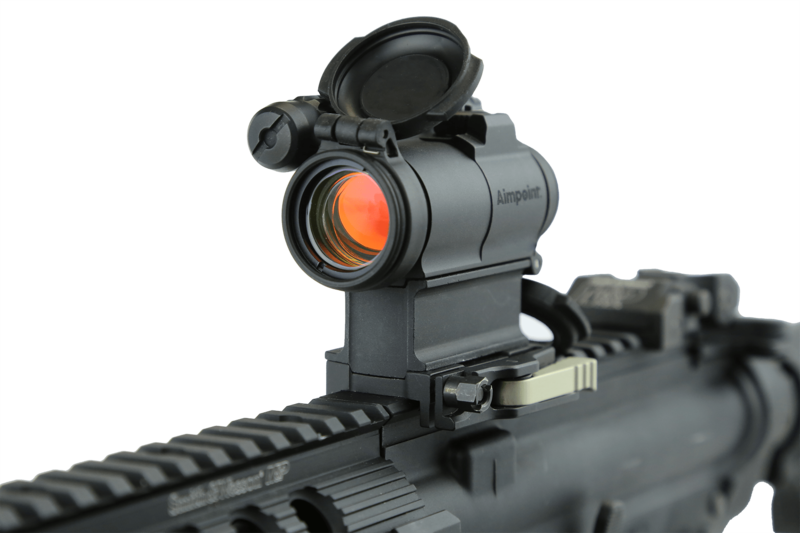 The Aimpoint CompM5 red dot sight is a high-performance optic geared towards military and law enforcement uses. It was introduced at the 2017 London Defence and Security Equipment International Show. 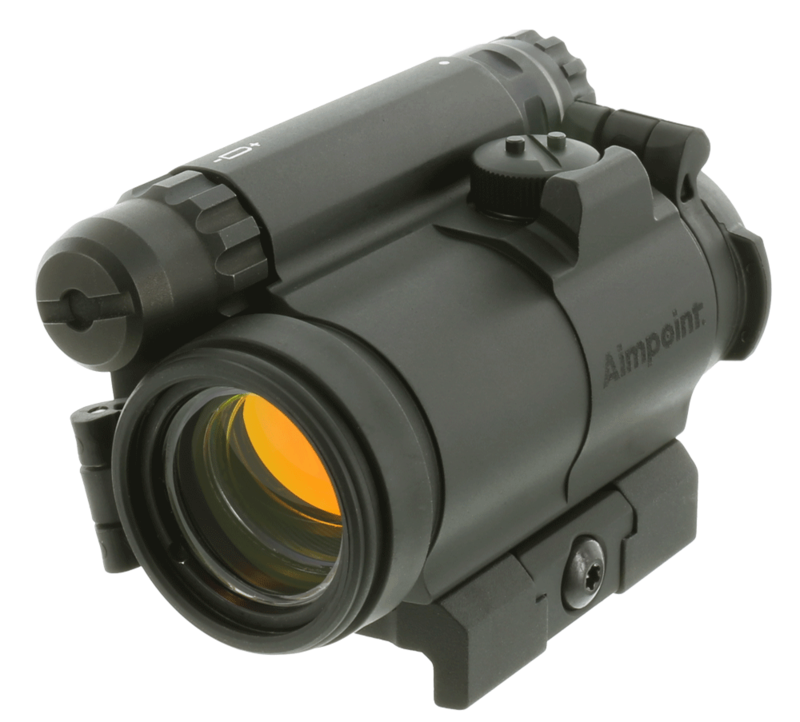 Aimpoint is one of the global leaders in reflex sights. The CompM5 is powered by a single AAA battery which allows for a compact build and low weight. It comes in at a weight of only 5.19 ounces! ​Click here now to find the lowest price on Amazon! The use of an off-the-shelf battery makes it easy to find and replace it pretty much anywhere in the world. It’s small in size and provided Aimpoint the possibility to design a compact sight with an impressive battery life of around 5 years when set to intensity level seven and being constantly being on! On the intensity setting of eight the battery life is around 1 year. Using the NVD settings between positions 1 and 4 continuously will extend the battery life to over 10 years! Using a standard AAA battery also saves the hassle of shipping a device that is powered by a lithium-ion battery. The CompM5 comes with unlimited eye relief. It is compatible to be used with the Aimpoint line of magnifiers. The Aimpoint 3XMag-1 and 6XMag-1 magnifiers work without a problem. So do the Night Vision Devices (NVD) if you need to combine the sight with a thermal scope. The sight is waterproof can be fully submerged up to 150 feet. It shows its military heritance not only by this feature but also by using a military grade optical lens. This provides the CompM5 with exceptional light transmission rates and dot clarity. The high-performance lens also makes the sight practically parallax free. It provides a crisp and clear dot image even if you combine it with a magnifier!